A reminder that you have access to a wide range of careers, enterprise and work-related information. This can be found via the Student Grid learning apps on the website, or when you access your electronic files and click on the Careers folder. Dedicated careers programmes include KUDOS, START and UNIFROG, plus the superb Careers Guidance Charts and Big Names publication, which show how subjects can link to a variety of different jobs and careers. You can create your own electronic portfolio by recording your achievements, experiences and work experience using the START on-line Locker and/or the KUDOS Me section - my personal development. You can also put together a CV or a personal statement. Remember to research local opportunities to see if the job sector/career you are planning is likely to have vacancies in our region - or will you need to travel further afield? and the Greater Lincolnshire Enterprise Partnership's website also has some interesting information about the six main growth sectors in our area, namely these are Agri-Food/Manufacturing & Engineering/Visitor Economy/Energy & Water/Ports & Logistics/Health & Social. We have also prepared an extensive list of websites for you to help with job research, progression routes, apprenticeships, volunteering and careers research. If you are in Year 11 you can find out more information about your Post 16 choices by clicking on the Post 16 options link from the side menu. If you are interested in finding an apprenticeship you can easily access the website via Twitter @lincsapprentice - no need to register, just scroll down to find local opportunities. Remember to check out the careers notice boards for apprenticeships and other information (opposite the College notice boards) and the Careers Library, which is located within the main library. Mrs Taylor is available at tutor time, break, lunchtime and after school to help with any additional careers information and advice you may require. Any student can request a one-to-one guidance interview with our specialist careers guidance adviser, Miss Kay Boothby, who works in school on a combination of days throughout the academic year. The school is charged for these interviews, but we feel they are important to help supplement the careers and enterprise activities you have in school and the guidance you receive from your tutor, the pastoral team, additional needs staff and Sixth Form team. You should prepare for your personal guidance interview by making a list of your interests and any specific concerns or barriers you feel you may have. This is a good starting point for your interview and will help you set your targets and goals for your future career. 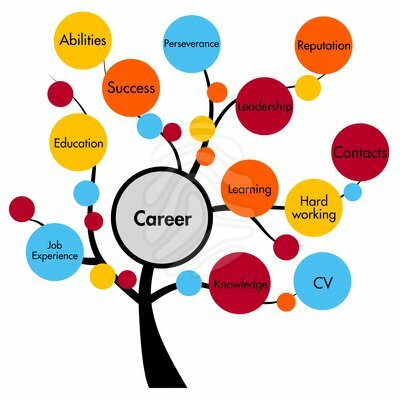 If you would like a summary record of all the careers, enterprise and work-related activities you have taken part in during your time at school, please speak to Mrs Taylor who will be able to provide this for you. When you leave school please consider signing up to our growning Alumni so we can keep you informed about school events. Sometimes we also contact our Alumni to see if they are willing to return to school to help support current students - usually at our Post 16 and Post 18 options Careers Fairs. Please use the link below to sign up. We are always very pleased to learn more about what our former students are doing now and the career pathways they have taken - you can view some of these on the Alumni page. Good luck with your future career planning and we hope we can help you achieve your goals and provide you with the career management skills you need to enjoy and contribute to the world of work.